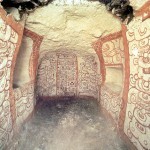 Remote Classic Maya site which was extensively looted in the 1970s for spectacular grave goods. 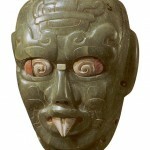 A Classic Maya funerary mask apparently looted from the Guatemalan site of Río Azul and illicitly trafficked into the United States and then Europe. 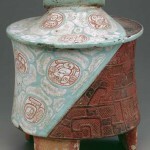 A Classic Maya vase now in the Detroit Institute of Arts that is thought, based on linguistic evidence, to have been looted from Tomb 12 at the Guatemalan site of Río Azul in the late 1970s.